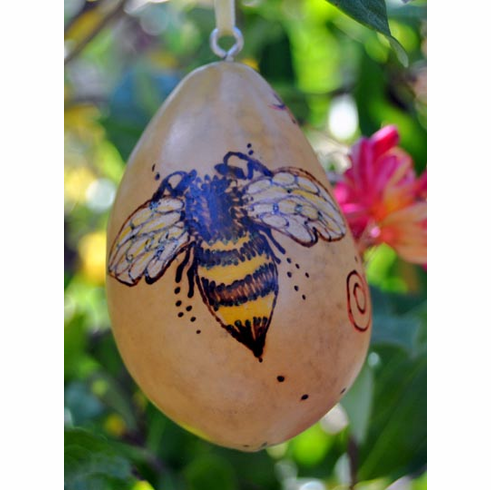 Honey Bee Gourd Ornament - Natural bird egg gourd turned into an affordable work of art by artist M.A.Katke. The bee image on one side and the floral image on the other are burned on and then hand colored for a truly permanent and unique piece of art. Ready for hanging with a ribbon tie. 2-1/2" approx. height.